Graham Hancock begins his quest for the beginning and the end with that old chestnut of alternative archaeologists: the Piri Re‘is map of 1513. Quoting a letter from Charles Hapgood’s Maps of the Ancient Sea Kings (Chilton Books, 1966), he accepts the opinion of Harold Z Ohlmeyer (1919-2010), a United States Air Force Colonel in the 8th Reconnaissance Technical Squadron, that the map depicts West Africa, South America and the coast of Queen Maud Land in Antarctica. This is a contentious assertion, as we will see, but it is Ohlmeyer’s statement that the Antarctic coast is depicted as it would appear free from ice that forms the starting point for Hancock’s analysis. To Hancock, the apparent depiction of Queen Maud Land raised a number of questions. He focuses on what he considers the six key facts of the case. Firstly, there is no question that the Piri Re‘is map is anything other than a genuine manuscript map of 1513. Secondly, that it shows precisely those landmasses that Colonel Ohlmeyer claimed it does. Thirdly, that Piri could not have known of Queen Maud Land from his contemporaries, as Antarctica had not yet been discovered (its official discovery date of 1818 may be too late, but probably not that much too late). 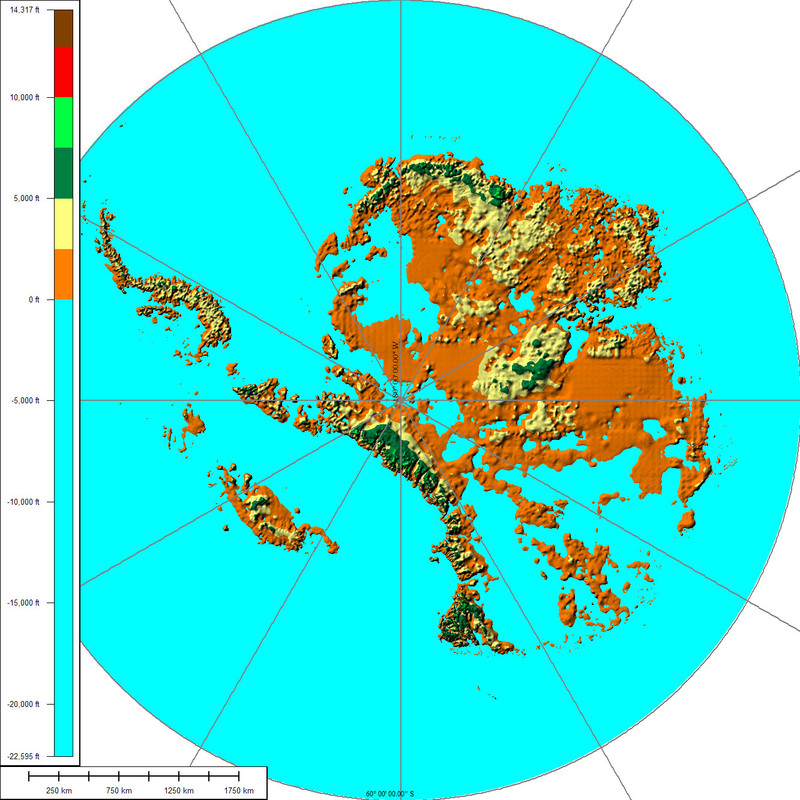 Fourthly, there is the puzzle that Queen Maud Land is shown as free from ice; Hancock claims that the last time this could have happened was around 4000 BCE. Fifth, he claims that although the earliest date at which the coast could have been mapped is impossible to determine, but that it “may have remained in a stable, unglaciated condition for at least 9000 years before the spreading ice-cap swallowed it”. Finally, he correctly points out that we do not know of any civilisation that could have mapped the coastline in the period at which he claims it was ice free. This, then, is what Hancock considered the smoking gun that would set him off on his quest. The entire premise of Fingerprints of the Gods proceeds from the assumption that his six key facts are all equally factual and not open to dispute. Firstly, Hancock is quite right to stress the genuineness of the map. 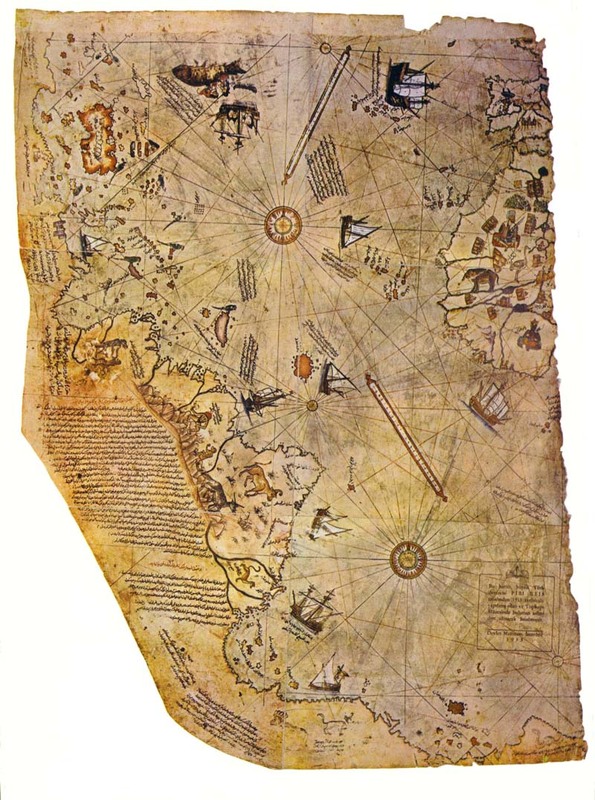 Rediscovered in 1929, the map was instantly famous, not least because it claimed that one of its sources was a map produced by the Genoese explorer Cristoforo Colombo (better known in the English-speaking world as Christopher Columbus), whose own maps are notoriously lost. Here was the earliest surviving map of his barely twenty-year-old discoveries and of those who followed in his wake. In his day, Piri was a renowned cartographer and the maps that were known before 1929 are beautiful accomplishments. No-one could raise any serious objections to the map. However, we are on more dubious ground when it comes to determining what parts of the world the map actually depicts. West Africa and the Iberian Peninsula are clear enough; it is what Piri calls “the western region” that is less clear. His listing of sources for this map show that he was reliant on a single source, a copy of the map created by (or at least attributed to) Columbus. Whereas he combined a number of maps to produce his clearly recognisable coastlines of Africa and Iberia, he was reliant on the accuracy of the sole map at his disposal for the depiction of the New World. It is unfortunate that Hancock did not do further research into the map, preferring to rely on Charles Hapgood’s ideas about its accuracy and assessment of what it shows of “the western region”. He might for instance, have consulted works that deal with the texts on the map, which show placenames that can be identified today and which describe the climate and fauna of the newly discovered regions. Gregory McIntosh, in his The Piri Reis Map of 1513 (University of Georgia Press, 2000) castigates Hapgood and others for failing to take note of the placenames and basing the conclusions merely on the resemblance of stretches of coastline to those on modern maps. This is not a legitimate way to investigate any historical document. The placenames alone are enough to show that the most southerly place depicted on the map is Puerto San Julián in Argentina. However, Hancock accepts Charles Hapgood’s identifications of places uncritically and assumes that the bottom of the map shows Queen Maud Land. He is correct in the assumption that Piri could not have learned of Antarctica from his contemporaries but as the map does not show it, this “fact” can be struck from the list. Given that Queen Maud Land is not depicted, the ice-free nature of the coastline ought not to worry us. Nevertheless, is Hancock correct in his dating of a period when Queen Maud Land might have been without ice at a time when human mariners (not the aliens of Erich von Däniken) might have mapped it? Numerous ice cores have been taken from the Antarctic ice that show the continent to have been covered by a fully developed ice cap from 40,000 to 6,000 BP. Between 21,000 and 16,000 BP there was a maximum development of the ice cap, corresponding to the height of the Devensian glaciation in Britain, with no exposure of coastlines after the glacial maximum. Indeed, it is evident that Antarctica was last completely ice-free over 34,000,000 years ago, long before the evolution of the genus Homo, let alone modern humans. There is thus no human civilisation that could have mapped an ice-free coast. Hancock does not stop with Piri Re‘is’s map, even though, as we have seen, it does not show what he thinks it shows (or, perhaps, wants it to show). 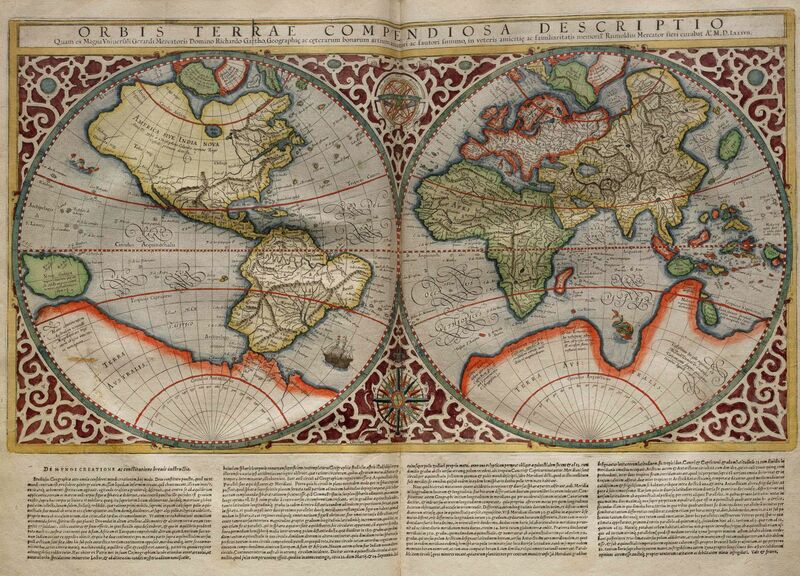 Following Hapgood, he turns to other early modern maps that show an Anatarctic continent. In this, he relies entirely on Hapgood, even for data on the climatic history of the continent that by the 1990s was hopelessly out of date: all but three of the thirty-three footnotes for this chapter are to pages in Maps of the Ancient Sea Kings. This is merely giving the outward signs of scholarliness, not real scholarship. We are introduced to the Orontius Finaeus Delphinus map of 1531, with its enormous TERRA AVSTRALIS REcenter inuenta sed nondū plene cognita. As with the Piri Re’is map, he ignores the legend written across the landmass that is (conveniently?) illegible on the small reproduction of the map in his book. In English, it says “The southern land recently discovered but not yet fully known”. Does this allow for the possibility that Finaeus was copying an older map of an ice-free Antarctica? It certainly doesn’t read that way. Yet Hapgood, followed by Hancock, was impressed by the depiction of rivers and estuaries emptying into the Ross Sea. Naïvely, Hancock says that “[t]he unmistakable implication of these features is that there was no ice on the Ross Sea or its coasts when the source maps used by Oronteus Finaeus were made”. Clearly, in his world, no early modern mapmaker ever filled in details of unexplored areas with invented details, not even on a continent “not yet fully known”. And what were these source maps that Finaeus failed to mention? If Hancock (or Hapgood before him) had bothered to read (or have translated) the text at the centre bottom of the map, he’d have seen that Finaeus specifically says that he is depicting Prouintias, Insulas, Maria, Flumina, Montes, hactenus non uisa, neque Ptolomeo, neque Eudoxo, neque Eratosteni, aut Macrobio cognita, sed que in tenebris in hunc usque diem iacuerunt (“Provinces, Islands, Seas, Rivers, Mountains not seen up to now, known neither by Ptolemy, nor Eudoxus, nor Eratosthenes or Macrobius, but which had lain in shadows up to the present day”). In other words, these are recent discoveries of which the ancients knew nothing: there were no source maps. 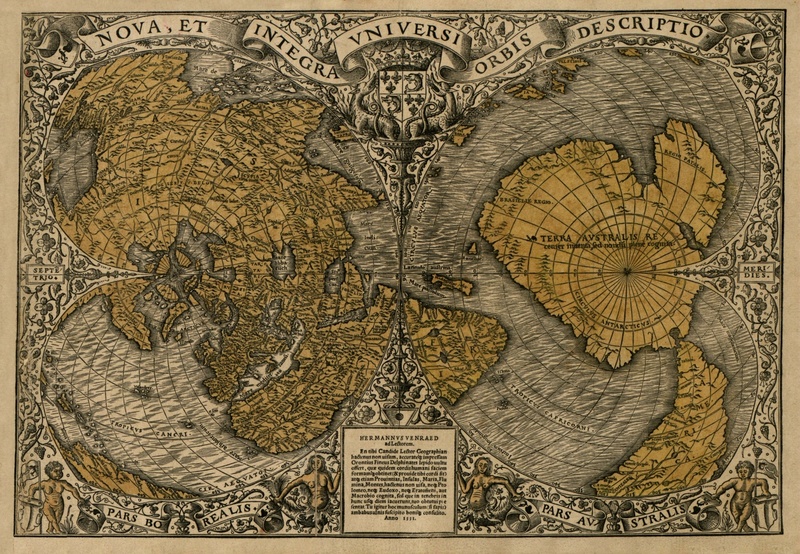 Hancock (following Hapgood, as ever) next turns to Gerhard Kremer (better known as Gerhardus Mercator), whose Atlas of 1569 includes Finaeus’s map of Terra Australis. He used Finaeus’s map as the basis for his own depictions of the continent but incorporated more recent discoveries. Thus, Tierra Del Fuego at the southern tip of South America, is shown as a northern promontory of Terra Australis; the promontory south of Iaua minor (Java) appears to be Arnhem Land (Australia), drawn too far to the west; another promontory, south of Noua Guinea (New Guinea) is the Cape York Peninsula (Australia). Mercator is incorporating recently discovered lands that he hypothesises to be part of a massive continent at the south pole necessary to balance the land area of the northern hemisphere and keep the earth upright. Again, despite Hapgood’s confident assertion that “Mercator had at his disposal source maps other than those used by Oronteus Finaeus”, there is no evidence whatsoever that these maps ever existed. The fourth map is the most recent: that of Philippe Buache. Once again, we are faced with the author’s unwillingness actually to engage with the map itself. The map contains a lot of text and the words conjecturée (conjectured) and soupçonnée (suspected) appear a number of times on the southern continent. Of greatest interest, though, is the lengthy account of Jean-Baptiste Charles Bouvet de Lozier’s (1704-1786) voyage to the south, which lasted from 19 July 1738 to 24 June 1739. This instantly undermines the date of 1737 that Hancock gives for the publication of the map; indeed, the map itself contains the publication date of 5 September 1739. Of course, the mistake was originally made by Charles Hapgood: Hancock (or his researchers) simply copied this error without checking. Hapgood made a great deal of the fact that the version of the map he consulted in the Library of Congress shows the Antarctic continent to be composed of two separate landmasses, with a sea between them. Never mind that it is labelled MER GLAICIALE Conjecturée (“Conjectured Glacial Sea”): Hapgood assumed that it shows the continent free from ice. Yet we know why Philippe Buache depicted this sea. 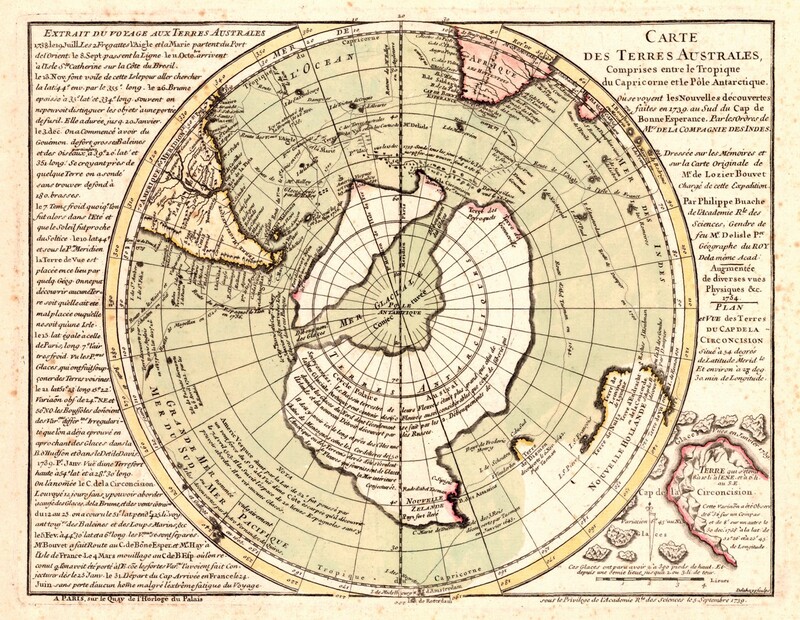 This version of the map seems to be a second edition, issued c 1757 (although the publication date is not altered on it), bringing his ideas about the southern continent into line with his more recent hypotheses about it, as published in 1761 in Considérations géographiques sur les terres australes et antarctiques. He had concluded (wrongly, as it turned out) that the icebergs seen by Bouvet de Lozier in 1738-9 must derive from sea ice, like those in the Arctic Ocean rather than from glacial ice, like those of the North Atlantic. He therefore decided to add a conjectural sea across the pole to account for them. However, in the first edition of the map (which neither Hancock nor Hapgood reproduce), there is no Glacial Sea. Instead, the Antarctic continent is depicted as a single landmass. The inclusion of Nouvelle Zelande (New Zealand) as a northern promontory of the continent as well as Bouvet de Lozier’s Cap de la Circoncision (actually an island, now named Bouvet Island after its unwitting discoverer) and a cape attributed to an observation of Amerigo Vespucci that seems to correspond in position to the South Sandwich Islands show that Buache’s sources were not ancient maps but early modern voyages of discovery. His depiction of lands to the south-west of Tierra del Fuego and the south of Cape Horn that correspond to no known islands shows that some of the observations on which he relied were inaccurate. It is worth pointing out that those parts of the continent for which he relied on reported discoveries have coastlines shaded pink: the remainder, which accounts for more than 90% of the outline, is all conjectural. 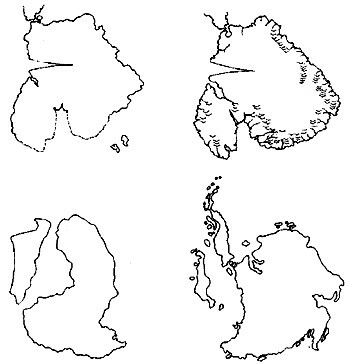 Hancock’s comparison of Mercator’s, Orontius Finaeus’s and Philippe Buache’s maps of Terra Australis with the results of the 1957-8 seismic data: hardly impressive! The contention first put forward by Hapgood and repeated eagerly by Hancock that these four maps not only show the Antarctic free from ice but also match the discoveries of the sub-glacial topography of Antarctica as determined by surveys during the International Geophysical Year (actually 1 July 1957 to 31 December 1958) is incapable of proof. For a start, the “coast-line” determined at that time shows where current sea level would be if the ice were suddenly to be removed. This ignores several factors. Firstly, the contour corresponding to modern sea level is that of a landmass experiencing isostatic depression. In other words, the weight of the ice cap is pushing down on the continental plate on which Antarctica sits, submerging the contour that would correspond to its coastline before the formation of the ice. Remove the ice and the continent would “bounce” back up as a result of isostatic uplift; this is a well known phenomenon and can be observed in those parts of the northern hemisphere that were depressed under the expanded Arctic ice cap during the Pleistocene Ice Age, where it is still ongoing. Secondly, Hancock uses data from the 1950s as a basis for comparison with the early modern maps. This is because he is reliant entirely on Hapgood for his data: he has done no further research into the question. More recent maps show a subglacial topography substantially different from that in his figure on page 21 of the first paperback edition. Worse, there is little correspondence between the 1950s data and the historic maps that Hapgood claims to be so accurate. In the final chapter of Part I, Graham Hancock is impressed—rightly, in my opinion—with the relative accuracy with which Piri Re’is placed South America to the west of Africa: his assessment of the width of the South Atlantic Ocean was very good. The data about the north coast of South America is distorted by Columbus’s preconceptions, so that Cuba is depicted as part of the western landmass; indeed, so paranoid was Columbus about not having discovered a quick route to East Asia, that he forced his crew to sign affidavits to the effect that Cuba was an Asian peninsula, a belief he held until his death: so much for the glorious discoverer of a New World! Hancock manages to persuade himself that the only means of determining longitude is by using a chronometer. As the first chronometer was developed by John Harrison (1693-1776) in the eighteenth century, he cannot understand how Piri (and other early cartographers) were able to draw accurate maps. The answer, of course, is one that had been widely used since antiquity: triangulation. Piri’s map is cover by rhumb lines radiating from compass-like symbols in the ocean. Such lines depict navigational aids that could be used to estimate longitude to within a reasonable degree of tolerance, so long as the sailor was able to estimate speed and bearing. The problem of calculating longitude was well known in the medieval world (indeed, it was an element in Columbus’s delusion that Cuba was a hitherto unknown Asian promontory) but the technique of sailing by the rhumb was good enough to enable reasonably accurate maps to be drawn up. Far from being evidence for “lost mathematicians”, these maps show how the ingenuity of late medieval and early modern mariners enabled them to produce workable maps of the known world. One of the most obvious observations about Part I of Fingerprints of the Gods is that Graham Hancock is completely reliant on Charles Hapgood’s untenable views about early modern maps. He (or his researchers) have either not consulted any scholarly works on the history of cartography, of which there are plenty, or have chosen not to mention their conclusions about these maps. We are faced with an inexcusable ignorance about how to conduct adequate research into the past, a naïve belief that it is possible to rely on only one interpretation of the evidence, a failure to establish an hypothesis by showing how his own explains the data better than existing hypotheses or a deliberate suppression of evidence that undermines his hypothesis. Of course, it could well be a combination of these. In any case, the result is that Part I of Hancock’s book is not a scholarly examination of early modern maps, but one that is tendentious whilst trying to give the impression of scholarship to an unsuspecting readership whom he hopes will see the work as well researched because of all those footnotes. As an aside, one has to feel sorry for Colonel Ohlmeyer who, by all accounts, was a model USAF officer, a pleasure to serve under and a generally good human being: a Google search for him currently returns over 5600 hits, almost all of which refer to the letter he sent Charles Hapgood in 1960. Surely his memory deserves better than this. Hancock has the gift for writing a good story, and I, like many others, were the unsuspecting readership you refer to that swallowed the impression of intensive research generated by the multitude of footnotes in FOTG. Rightly or wrongly we certainly do judge scholarly works by the references therein – and a lack of footnotes tends to create the impression of fairy tales. No doubt Hancock did carry out much research but as you point out with his many references to Maps of the Ancient Sea Kings, he should have looked beyond a single source and considered the counter argument to Hapgood’s theories in greater depth – but he had made his mind up! I don’t see Hancock as a conman; having seen him make speeches on his quest for a lost civilisation, I think he really believes he is on to something. However, I won’t be fooled a second time and no longer buy his books. With his gift for story telling perhaps he should stick to writing fiction. Nice post. I recently found and read Hancock’s first book on dodgy history, about the Ark of the Covenant, and already in that he was running off to Atlantis. He’s certainly a good example of an intelligent person who has fooled themselves into believing in something, against all the evidence. ANCIENT STONE TEMPLES. As with any critic of alternative theories of unusual ancient artifacts, the critic ( author of this article ) is unwilling to answer the most basic questions. 1. Can you demonstrate and replicate the techniques used to carve the rocks to fit so perfectly? Can you demonstrate for us how the rocks were quarried? Can you demonstrate how they were manipulated into place with precision? Can you demonstrate exactly what tools were used other than stone tools, metal, rope, leather and wood? And if stone and wood were used, can you demonstrate how it was done and how long it takes to carve and maneuver just one 10,000 stone? How many people do you need to carve one stone and place it? How long does it take to learn the skills? How sophisticated do the blue prints need to be? How advanced does their language need to be to plan and execute the building project? Can you then calculate how many man hours are required for a temple complex and supporting community to support such a project? And when you have compiled such an estimate, can you explain why a Stone Age people would waste such an enormous amount of time on such a project rather than on simpler solutions that allow for survival at a more basic level? And why are their decendents no longer wasting time on new temple projects? And if it is so easy, why doesn’t the author of this article build his own temple complex on the top of a mountain? The answer to these questions is simple. It is far from easy, we don’t have the tools and techniques to replicate these temples, and because it would require such an enormous and costly effort with tens of thousands of people, we could not convince enough people to waste their time on such a project. These questions alone, and the authors inability to effectively answer them exposes the author as far from an intelligent archeologist, but rather a dimwit incapable of simple logic. Great job, if you are an incoherent simpleton. The commonp problem with mainstream in the last century is the extreme unwillingness to allow questions. Anything they don’t like they apply solution of name calling, and that’s it. To think that there were no very advanced civilizations of which we know nothing of is to believe the earth is in the centre of the universe. Your points seem to be firing shots over the Graham Hancock ship and not actually hitting anything. Your evidence does not appear to be any more conclusive than the claims you are attempting to shoot down. Why give priority to the place names rather than the mapped coastline? Could you provide more than heresay that the named places actually exist or are you getting your facts from a secondary source? The ‘more recent map’ above, by your own claim, shows a landmass that is being weighed down by ice. Why do you write a post like this without actually presenting any facts that give evidence of your view? I agree. The most intriguing thing here for me is the depiction of the shape of the Antarctic coastline in the OF map. This bears an uncanny resemblance to maps of the ground currently beneath the Antarctic ice based on recent surveys. 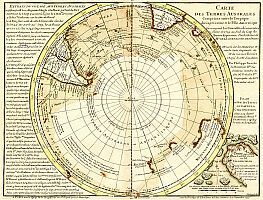 Rebuttals based on about how Antarctica ‘should’ have looked without ice are interesting but not definitive (not least as they are based on Antarctica being completely free of ice), and arguments about what it written on the map are not convincing at all. Its the similarity of the shape (without ice shelves) that you have not adequately explained. Recent scientific literature on this question suggests the Antarctic coastline has been free of ice (and without the major ice shelves) several times over the past 5000 years, and perhaps as recently as 1000 AD. In the balance, I am more persuaded by the uncanny shape of the Antarctic coastline in the OF map, than arguments about what the coastline ‘might’ look like in the absence of ice. 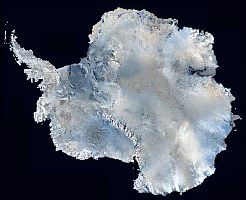 If Antarctica ever looked anything like this it would have been long before there were humans or even apes. 1. I think you have wrongly used the term or confused “wind rose” lines for Rhumb lines. As ur link suggests rhumb lines or loxodromes was discovered in 1537 or made publicly available at that time. The Zeno map and the Chinese map Hancock describes were from 1137 C.E and 1380C.E respectively. Even the Orontias Finaeus map was from 1531 C.E and Piri Reis is 1513 C.E, a few good years before rhumb lines were even used. 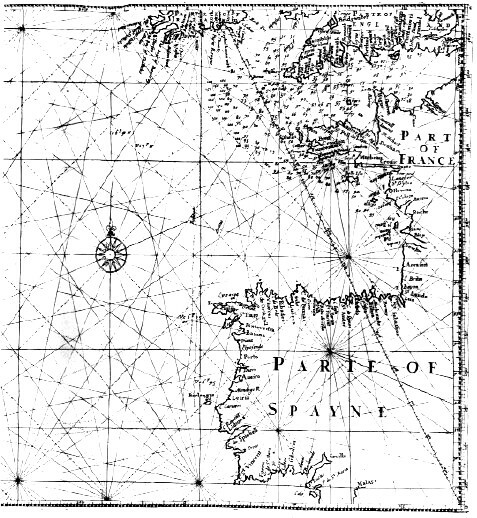 As for the windrose lines on Portolan charts, also called by the misnomer “rhumbline network” often confused for modern rhumb lines, these lines were primitive navigational lines , not even close to accuracy to the ones you are describing. The only way one could use these to make accurate maps were if one already had a a curate map projection through modern meridians, like the Mercator maps. 2. The usage of placenames like “unknown etc” is hardly enough proof that the maps were blind assumptions and not derived from a possible accurate source. Agreed , Hancock could have mentioned this , but again, it’s a valid argument against making assumptions but not evidence against the fact per se.